On Mac OS X, how to enjoy DVDs on iPod, iPad, iPhone, Apple TV, PSP, Archos, XBOX freely and easily? Guys, Iovsoft DVD Ripper for Mac could help you rip all DVDs just in a few clicks, it rips DVD to HD video or SD video, supports output video as MP4, M4V, MOV, H.264, AVI, XviD/DivX, MPEG, FLV, HD MOV, HD MPG, etc. it also extract DVD audio and convert them to MP3, AAC, AC3, M4A, etc. ...... but also allows you to clip movie segments, and preview for snapshot, split/merge video, edit audio and subtitle effects. 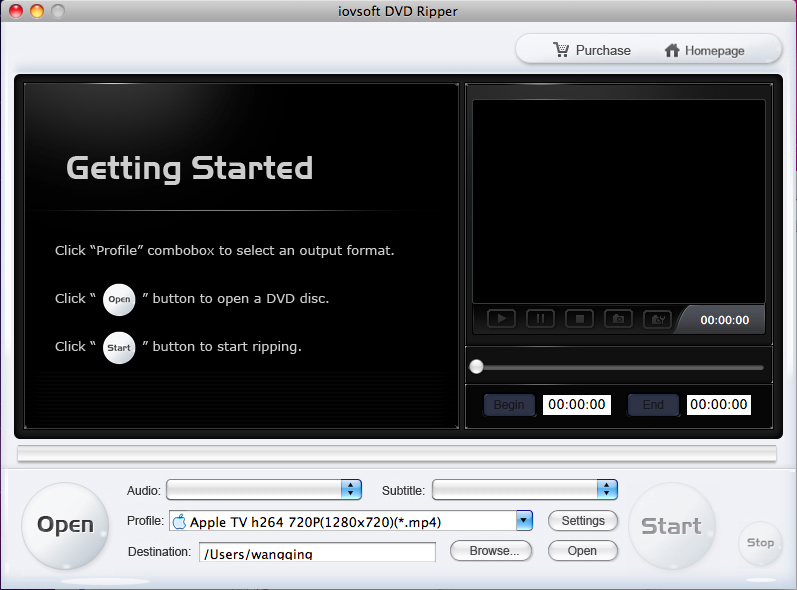 Iov DVD Ripper for Mac is an awesome DVD ripping tool for Mac users to convert both encrypted and clone DVDs to various video or audio formats. Just several clicks, you can rip/convert DVDs to SD(Standard-Definition) video formats, as MP4, M4V, MOV, H.264, AVI, XviD/DivX, MPEG, FLV, and to HD(High-Definition) video as HD MOV, HD MPG, HD MP4, HD WMV, HD AVI, etc. Qweas is providing links to Iovsoft DVD Ripper for Mac 6.6.7 as a courtesy, and makes no representations regarding Iovsoft DVD Ripper for Mac or any other applications or any information related thereto. Any questions, complaints or claims regarding this application Iovsoft DVD Ripper for Mac 6.6.7 must be directed to the appropriate software vendor. You may click the publisher link of Iovsoft DVD Ripper for Mac on the top of this page to get more details about the vendor.